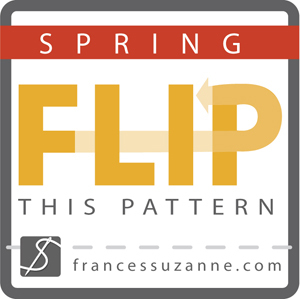 I’m sure you have already heard about the buzz: The Flip this Pattern is back over at Frances Suzanne! Last season, my flip of the Round Around Romper (by The Cottage Mama) was the most voted so I got the opportunity to make a come-back! 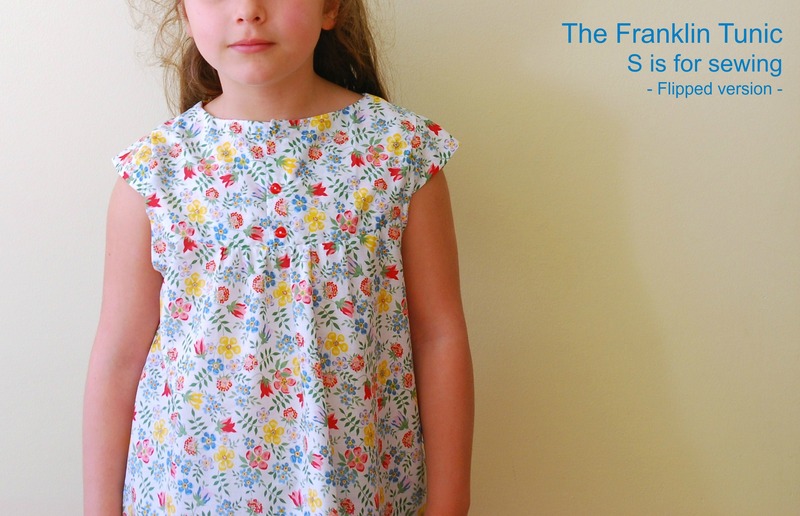 This time I had the chance to play with the Franklin dress pattern from the lovely Erin from the Brooklyn Pattern Company. 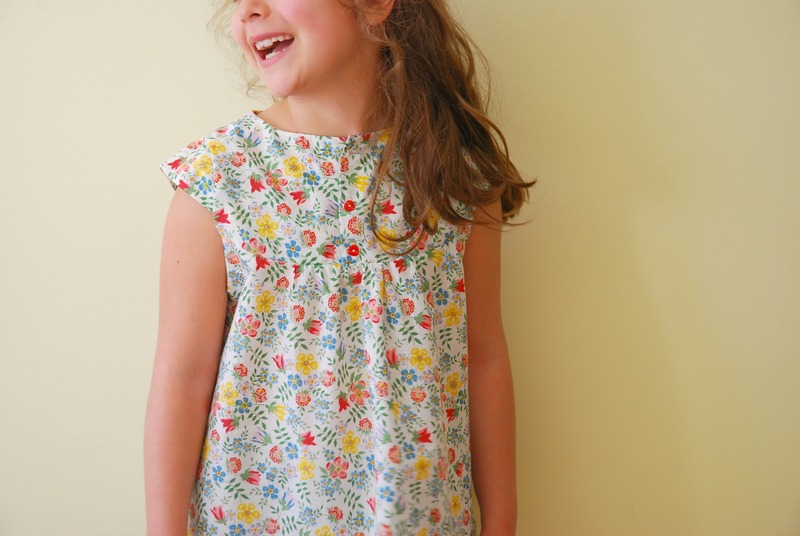 I did started with an unflipped version of this dress, partly because I wanted to test the sizing and explore some of the construction details and partly because I really love this pattern as it is (I wouldn’t change a bit). 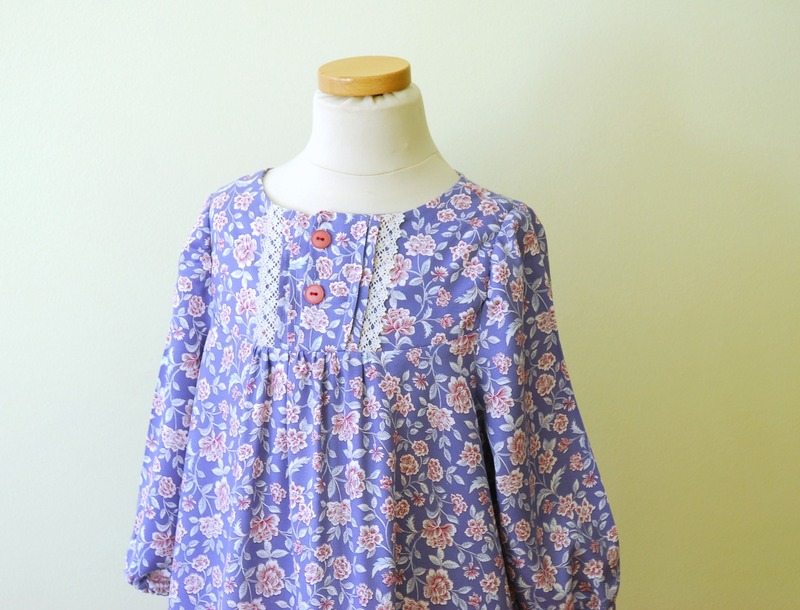 My favorite versions of this dress are made with plain colors (I have a huge weakness for chambray and linen versions), but I wanted to make this “my” version – so I picked a floral print (Vayella, of course) and paired with a lace trim for the front yoke. The result was pretty delicate and feminine (in my opinion). Obviously, the floral print was not the best option for showcasing the beautiful pintucks at the front yoke but you can’t always have it all, right?. 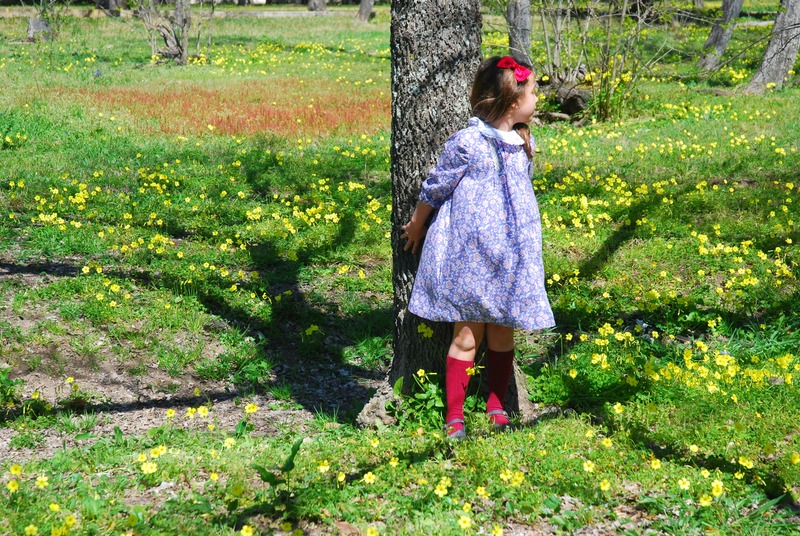 This dress is as beautiful as I’d imagine and it was actually a breeze to sew. If you’re worried about the pintucks, don’t be. They aren’t scary at all (and just a couple on each side) and the final result is totally worth the (small) challenge. 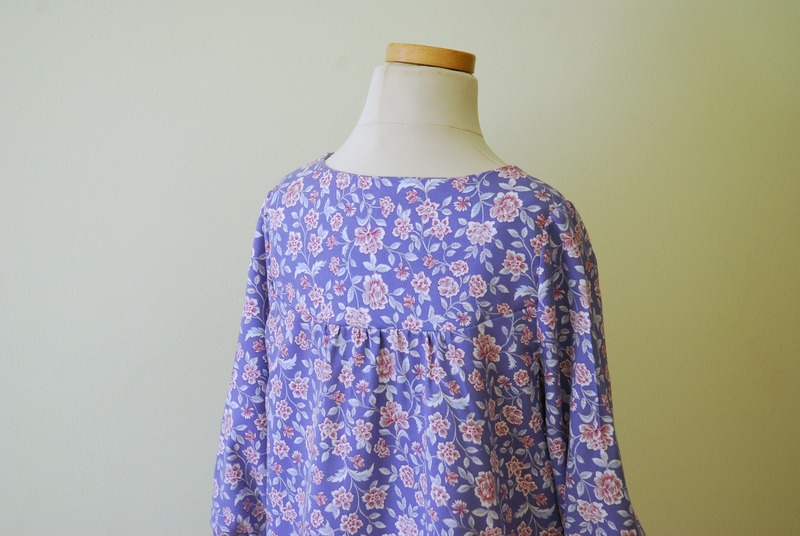 I find the back as lovely as the front of this dress – the soft gathers add a bit of balance and add to the overall sweetness of this pattern. Obviously, my husband is my number one fan (how could he not be) yet this dress really got high marks from him. He loved everything about it, specially the way it look so girly and age-appropriate on our girl. I couldn’t agree more. This pattern is perfect for seasonal wearing – it works greats with tights and a coat when the weather is a bit chilly, but it’s lovely with a collar blouse and knee-length socks for warmer months (the original pattern also includes a short sleeve version). 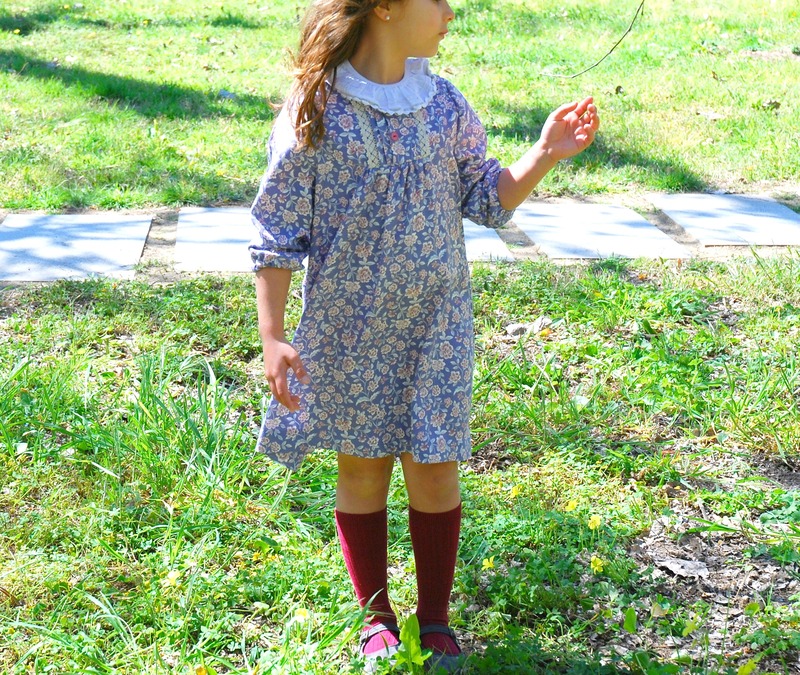 So, my flip was actually just a few teaks to make the patter a little easier to sew (off with the pintucks) and to fill a gap in my girl’s (summer) wardrobe: tunic length with cap sleeves. I couldn’t missed the opportunity to use a remnant of Liberty (less than 1/2 yard) and let my girl pick the buttons (cherry red, of course). 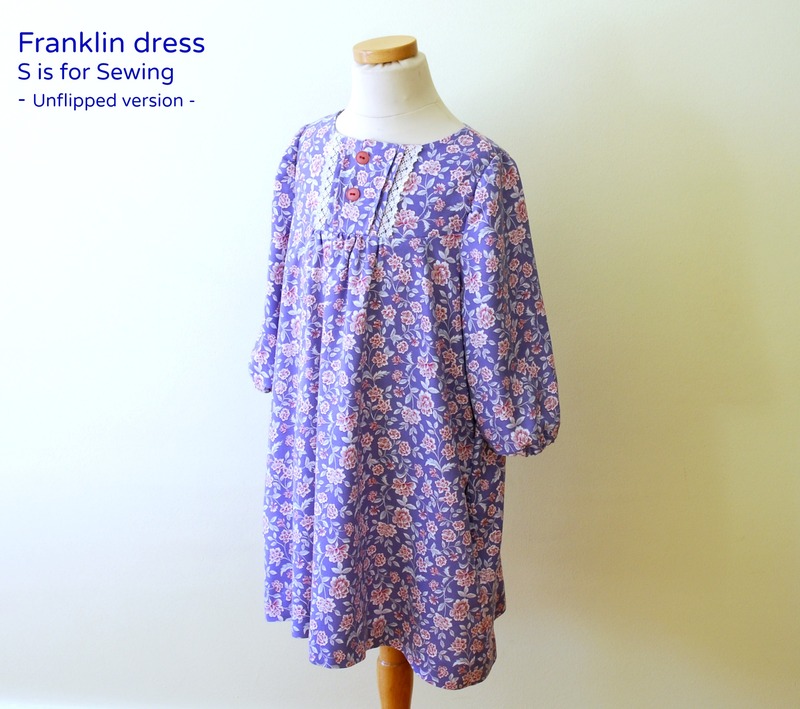 If you feel inspired to sew this dress – flipped or unflipped – check Frances Suzanne for a coupon code for the Franklin dress and while you are there don’t forget to take your chance with their giveaway as well. Thank you so much Emily&Ashley for the flip-invitation and another great Flip This Pattern season and Erin for such a wonderful pattern! 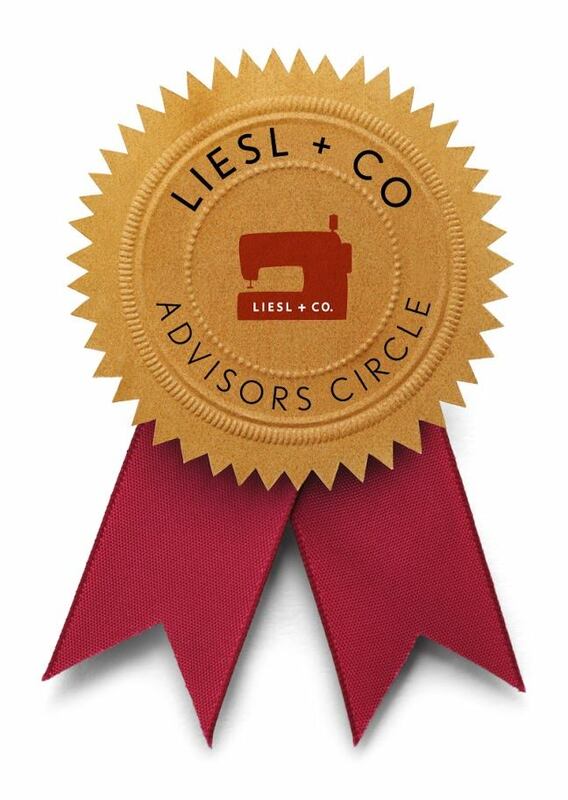 Ohhhhh, we want to go fabric shopping with you one day!! 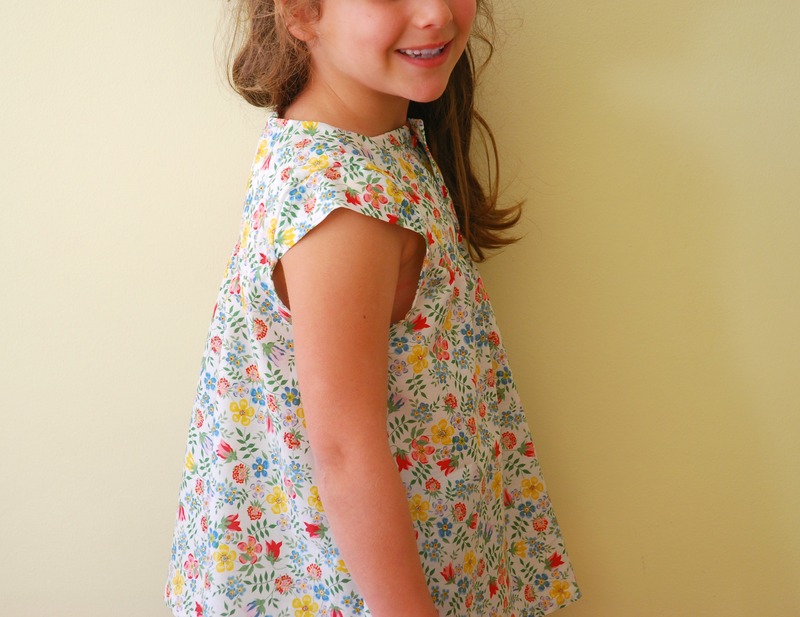 Your combinations are always SPOT ON, and make us want to sew an identical version for our nieces!! Huge thank you for the invitation! 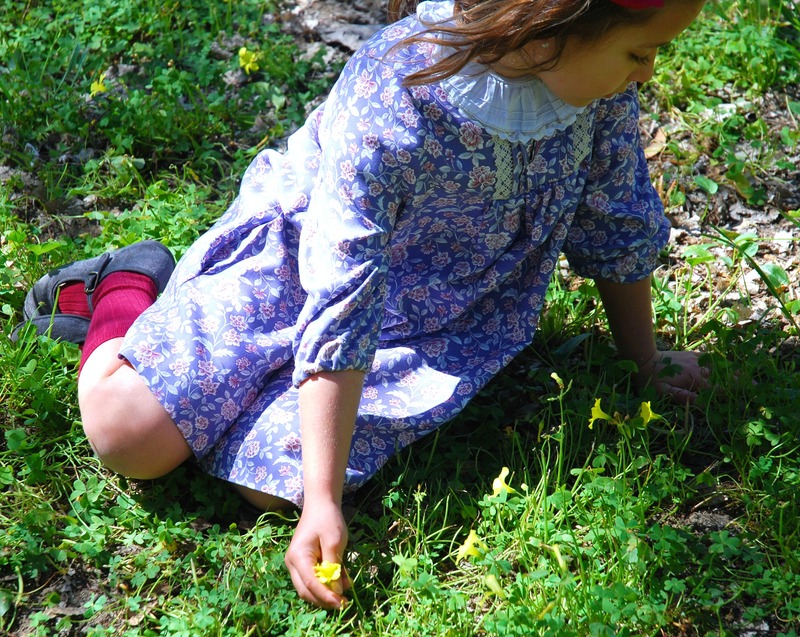 I am a great fan of the Liberty tunic. Well done ! Thank you! It’s wonderful, isn’t it? Both versions are beautiful, but I’m with your daughter on this one. I prefer the tunic too! ahaha Diana 😉 She was SO happy to hear it (PS. I love them both, of course, but if there’s a choice, I always pick the dress). Don’t you just love it when the men chime in? It gives me such a kick when Jed particularly likes something.